We protect homes located in . Sewer Problems For Homeowners And Cities Costing Millions Of Dollars. Disposable ‘Flushable’ wipes – basically baby wet wipes designed for grown adults – have become the major problem for residential and municipal sewer systems around the world because many “flushable” wipes are too strong and bulky for sewer systems. This is costing homeowners and cities millions of dollars. Adults have begun using what they believe to be the same wet wipes once used for changing babies for their own personal sanitation needs, leading sewer problems for homeowners and cities costing millions of dollars. For years, sewer pipes and machinery have been getting clogged by these nonwoven cloths, creating massive, expensive clogs in cities around the world like Seattle, Portland, New York, Washington DC, San Francisco, London and just about any other populated place where flushable wipes are commonly used. The most problematic type of wipes are these personal wipes that adults are increasingly using in the bathroom. As the use of personal wipes has expanded from infants to grown adults, a problem has emerged: most people do not keep a diaper pail in their bathroom and are of course reluctant to dispose of used wipes in their bathroom trash. The majority of wipes sold do not biodegrade rapidly enough to avoid clogging and end up getting caught in the sewer pipe and machine surface imperfections. Repeated headlines about horrifying septic system disasters clearly indicate that “flushable” wipes are in fact not flushable. For example, this huge “fatberg” recently dislodged from a Minnesota sewer caked in grease and fortified with wipes. News and personal stories about expensive sewer line clogs have multiplied recently as more ‘flushable’ wipe products have become available. Manufacturers market their disposable wipes as “flushable” or “safe for septic systems and sewers,” but the reality of the situation has proven otherwise. Because the wipes do not disintegrate easily or quickly, they clog sewage treatment equipment and sometimes home septic systems as well. From manufacturer to manufacturer, the materials used to make “flushable” wipes varies, but most of them are strong enough to keep the wipe from disintegrating. The materials are very strong and fibrous. Even if the label indicates “flushable” one should always avoid flushing any type of wipedown the toilet. This will help prevent expensive clogs in your sewage system. While the sewer industry and the Wipes industry work out a solution to this growing problem, you can avoid expenses and headaches caused by a clogged or broken sewer line with coverage from National Water Company. While a timely sewer line inspection will typically cost somewhere between $225 and $300, if sewer line clogs are left unresolved, the resulting sewer line repair or sewer line replacement can cost between $8,000 and $20,000 or more. Due to the risk of failure of these aged sewer lines and the high costs of repair or replacement, some cities are now making insurance policies available to their residents to deal with these expenses. National Water Company, a well-established insurance company that carries a very strong policy specifically built to protect homeowners from the coming expenses of aging utilities. Whether your home is 5 years old or 100, for just pennies per day NWC has an insurance policy that will cover the cost of sewer line pipe repair, as well as inspection and maintenance recommendations to provide additional peace of mind. One of the most overlooked home maintenance tasks, sewer line inspection, can prevent unnecessary damage and expensive cleanup costs. If your drain or sewer line needs to be cleaned, do not wait and find out the hard way. Sewer & drain line preventative maintenance efforts will help avoid most sewer line issues caused by root blockage. Just like other systems in your home or building that require regular care & maintenance, drain and sewer lines are no exception. Small openings at joints are inherent in older residential concrete and clay sewer pipes. When a tree’s root system finds these entry points the sewer lines ability to carry water and waste to the city sewer conveyance system is greatly reduced leading to unexpected clogs and overflows into the home.. Having found water and nutrients in great supply the tree roots will continue their invasive growth into the piping. In some cases, roots can be discouraged using chemical treatments but annual sewer line auguring will be a must to prevent backups into your home. Blockage of a sewer line from tree roots is a common and costly problem when maintenance is ignored. This is especially true and urgent in older cities and neighborhoods of the Pacific Northwest. 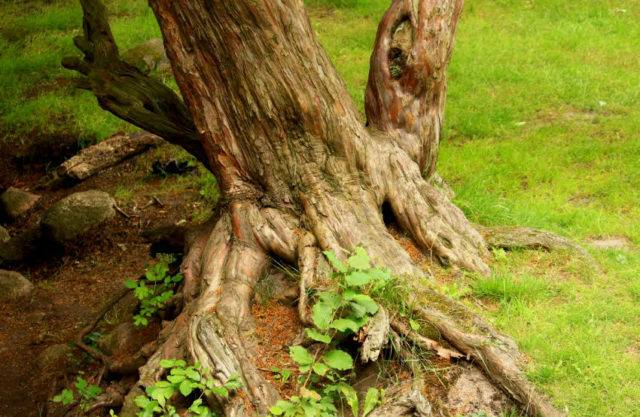 Tree roots can grow quickly in rainy, temperate areas, and can often lead to premature failure of drain and sewer lines. Allowing roots to overwhelm the sewer line before removal can cause premature pipe failure and very expensive emergency repairs. The condition of drain and sewer lines can be a costly surprise when buying or selling a home. This requirement is not consistent in every state, so it is very important that an inspection of the sewer line be done before selling or purchasing a home to safeguard against unexpected and costly repairs. While a timely sewer line inspection will typically cost somewhere between $225 and $300, if roots are allowed to continue invasive growth, the resulting sewer line repair or sewer line replacement can cost between $8,000 and $20,000 or more. Cities, towns, villages & municipalities of all shapes & sizes have had at least one important thing in common since the dawn of civilization; the absolute need for clean water and sanitation. Throughout history, we’ve found ways to bring fresh water into our homes, and ways to take sewage away from our homes. In modern times, with the advent of modern plumbing and sewage treatment methods, cities have taken on the responsibilities of placing the necessary infrastructures to handle these vital functions. Cities have laid miles and miles of water supply lines and sewer lines so that their residents could all live better. But in most cases, that happened a long, long time ago… So now the question becomes, how well are those original systems lasting, and what happens if and when they fail? In 1798, Mr. Benjamin Latrobe had determined that the main water supply in his own city, Philadelphia, had also become its greatest source of disease. He found that the groundwater was being contaminated because of poorly contained wastewater. Since the early 1800s, there have been two primary sanitation strategies in the US; Centralized: wastewater is collected and routed to a central treatment location, and Decentralized: wastewater is treated at or near its source. In 1843, the worlds first modern centralized sewer system was built in Hamburg, Germany. The design was so successful that, by the mid-1800’s, it had been adopted in The United States as well, prompted by population growth & public health concerns, among other factors. By the late 1800’s, public demand for the installation of centralizes sewage treatment gained a national voice in cities across the country. 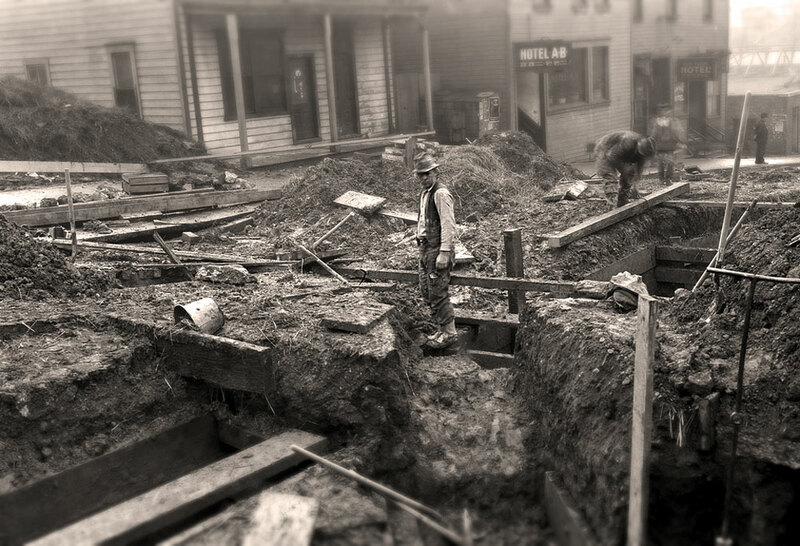 While the quality, demand, and understanding of freshwater and sanitation concerns waxed and waned, by the mid-1900’s, with the growth of American cities and towns, the necessity for better sanitation had become clear. The federal government passed the Water Pollution Control Act of 1948, which created legislation for the planning, technical services, research, financial assistance, and enforcement necessary for a healthy water supply in every American town. In 1952, the act was extended and became permanent law in 1956. DO YOU KNOW THAT YOU ARE RESPONSIBLE FOR LINES RUNNING UNDER YOUR OWN PROPERTY? Now, in 2018, we have a clear idea of how time has affected and degraded the water supply lines and the sewer lines that run beneath our cities and homes. In many cases, they have not aged well. Over time, many of these systems have suffered deterioration and structural instability. From root growth to simple movement or settling of the ground itself, cracks, gaps, and breaks occur. 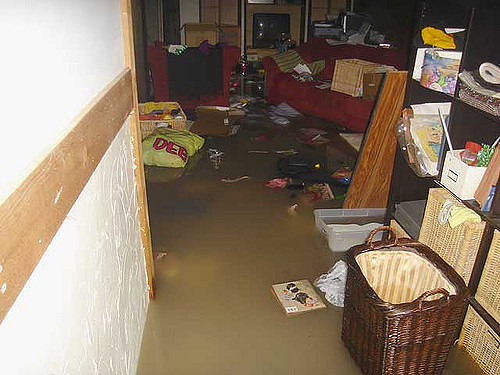 When this happens, it can cost the homeowner more than the cost of lost water. One major concern for homeowners, many of whom are unaware, is the potential cost of water lines that run beneath and to their own homes. In many American cities, costs to replace or repair the connecting supply & sewer lines falls to the homeowner, even when the lines extend off property to reach the main lines. Simply being unaware of this, and then suffering a critical failure of either your water supply line or sewer line can cost a homeowner several thousands of dollars. What resources are available to a homeowner if they suffer a water line leak or require water line repair, sewer line repair, clogged sewer line cleanout or even sewer line replacement? There is good news. Cities across the nation are aware of the financial burden that lurks unseen at nearly every home-owners door. Proactive municipalities have established relationships with companies that provide assurance, response, and technical knowledge to help cities and homeowners prepare for the costs of aging fresh water and sewer systems. Water supply line and sewer line repair and/or replacement can be very costly. The cost of excavation and replacement of utility lines under your property can run into the thousands. In worst case scenarios, the home owners responsibility can extend beyond their property line all the way to the main water line or sewer line. If the damaged lines run beneath sidewalks, streets or highways, even the costs of excavating through and then replacing the street or sidewalk may be the financial responsibility of the connected home owner. Due to the risk of failure of these aged water and sewer lines and the high costs of repair or replacement, cities everywhere are now making insurance policies available to their residents to deal with these expenses. Many cities are currently working with National Water Company, a well established insurance company that carries a very strong policy specifically built to protect home owners from the coming expenses of aging utilities. Whether your home is 5 years old or 100, NWC has a policy that will provide coverage for your home’s utilities, as well as peace of mind.